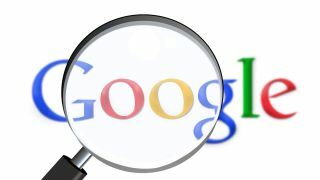 Google is set to launch a new version of its eponymous search engine designed to conform with China's censorship rules. According to The Intercept, the online giant is hard at work on a project that provide Google's search services in China for the first time in eight years. Google has not been operative in China since 2010, when it shut down operations in the country over accusations of limiting free speech. Anyone looking to access the company's work in China would have had to use a VPN. Google's new search engine, reportedly codenamed Dragonfly, will block terms related to religion and human rights, both areas of some controversy in China. The platform will "blacklist sensitive queries", the report claimed, preventing access to websites currently blocked by the so-called Great Firewall. Anyone searching for banned subjects will see a disclaimer noting that "some results may have been removed due to statutory requirements" - similar to how Google currently notes that records have been removed under data protection acts in Europe. Under development for more than a year, the project includes two Android apps, called Maotai and Longfei, which could be launch within a matter of months if approval was gained. A Google spokeswoman said that the company would not speculate on future plans, but that it did already have a notable presence in China. "We provide a number of mobile apps in China, such as Google Translate and Files Go, help Chinese developers, and have made significant investments in Chinese companies like JD.com," the company said in a statement.